My name is Salem Cherenet. I am a curently a graduate student at Carnegie Mellon University studying Mechanical Engineering and GEM Fellow at SLAC National Accelerator lab working with the Dark Energy Survey group at Kavli Institute for Particle and Astropysics (Kipac). I finished my undergraduate study in the Mechanical Science and Engineering department in spring of 2011 at the University of Illinois at Urbana Champaign. 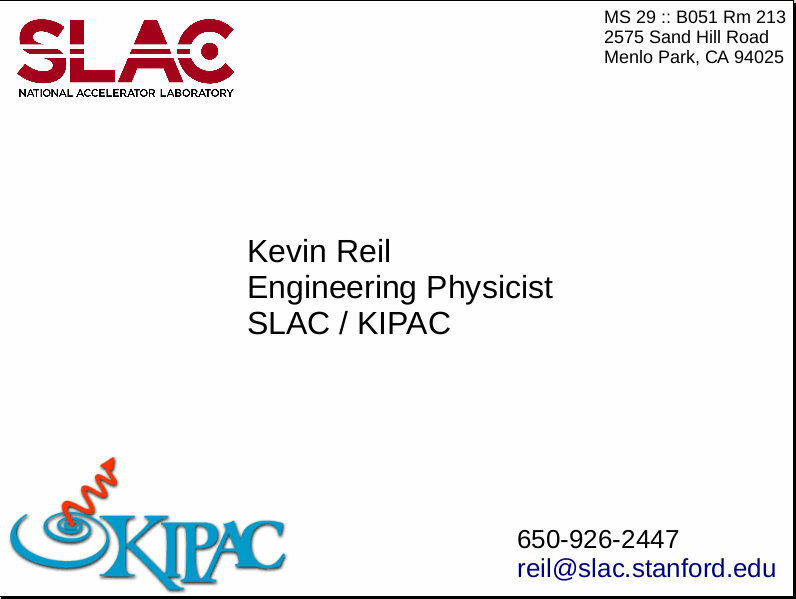 As part of the GEM Fellowship program I came back to SLAC for a second summer . The main goal of the project I was involved in, under the supervision of ELi Rykoff, was to find new and better way of estimating galaxy magnitude and flux errors by developing codes and algorithms to utilized SExtractor and the newly developed LSST Data Management Software package. Please visit the Wiki for more info. The focus-and-alignment system, measuring out-of-focus "doughnuts" to optimize the DES images in real-time. Developing Discrete PID controller in Python for multiple input single output system. Silicon Nanowires (SiNWs) are used in several applications such as converting chemical energy and temperature gradient in to electrical energy. SiNWs could be manufactured in several different processes depending on what final product one wants to achieve. In this experiment we are interested in fabricating SiNWs that have separations of about 100nm and a diameter of about 40nm using the process of chemical wet etching. We face a real issue during the last few stages of the manufacturing process when trying to transfer an alumina template floating in buffer solution into an acetone solution then deposit it on Silicon. The purpose of this project was to create a mechanical system that would make this process easier to carry out. To achieve this goal, a simple system was designed and rapid prototyped for testing. The mechanical system behaved as originally predicted; however, there is still some stability issue that needs further investigation. Removal of outliers pixels due to bright stars in creation of twilight skyflats. Benchmarking of masking code used in DESDM (to determine bottlenecks). As a Senior Design project, our team's goal was to design and build an abrasive/erosive wear test rig for John Deere. The rig will be used to test material performance against wear from multiple media such as crops, soils and other small particles. The test rig must have the capability of easily varying the media velocity/flow rate and the media/test material incident angle. A load cell should be placed on the fixture holding the 600 g material coupon so that impact forces can be measured. The fixture should be designed so that the material coupons can be easily changed. The machine will be restricted in size (5'x5'x door height) and will have to be enclosed for particle containment. Parts of the machine that handle wear media should be transparent allowing for particle interaction to be viewed. The test rig will have a hopper where the material is fed into. The hopper should be equipped with a load cell or level indicator to indicate how much material is in the hopper. Along with delivering the media there should be an easy way to remove it from the enclosure during or after testing. The outputs of the load cells will be read by a data acquisition system belonging to John Deere. The students are to coordinate the sensor output requirements with John Deere. The test stand will also incorporate a fluid delivery system that will deliver water or salt water to the rest samples to introduce corrosion. It would be desirable for the system to utilize 120 V power, but higher voltages are available. Recently it was discovered that the universe is expanding at accelerated rate. This acceleration could be explained with a concept of Dark Energy. Dark Energy Survey is an imaging survey to make precise measurement of dark energy. The first part of this paper /presentation describes in detail the simulation done to estimate the equation of state parameter, w and its error by comparing it with a simulation bias data. All of the calculations were done using a Mathematica based tool created specifically for this project. Comparing the model bias data given sigma data = 0.3 gave w = -0.716488+-0.098. The second part of this paper focused on the method used to build a GUI that is used to analyze images from CCD cameras. The GUI is mostly stable with some bugs still to be fixed.